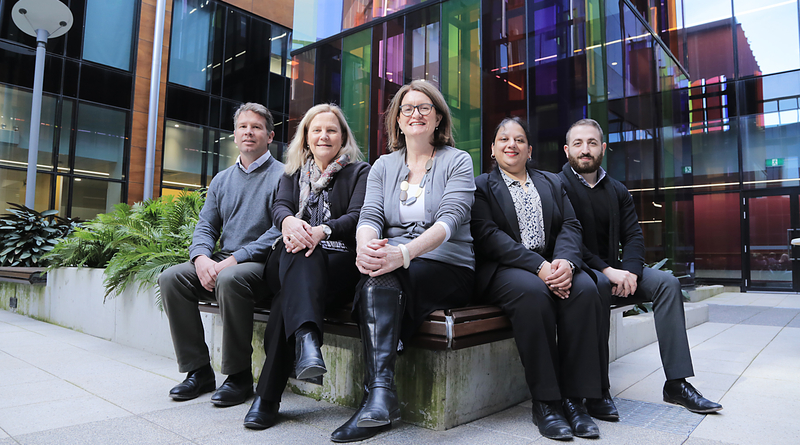 Matt Vizard, Health Infrastructure, Robyn Campbell, Manager Stage 2 Expansion, Sue-Anne Redmond, general manager Blacktown Mount Druitt, Leena Singh, director Strategic Business Development and Commercial Services and Matthew Tadorian, Blacktown and Mount Druitt hospitals expansion team. Blacktown Hospital has won three major international health design awards, including “best international project” in recognition of its innovative and creative ward and carer spaces. “I am delighted to see this outstanding project representing the NSW Government and Australian innovation on the world stage. My sincere congratulations to the Health Infrastructure project team, Jacobs architects, HARC arts consultants and Blacktown Hospital on this major achievement.